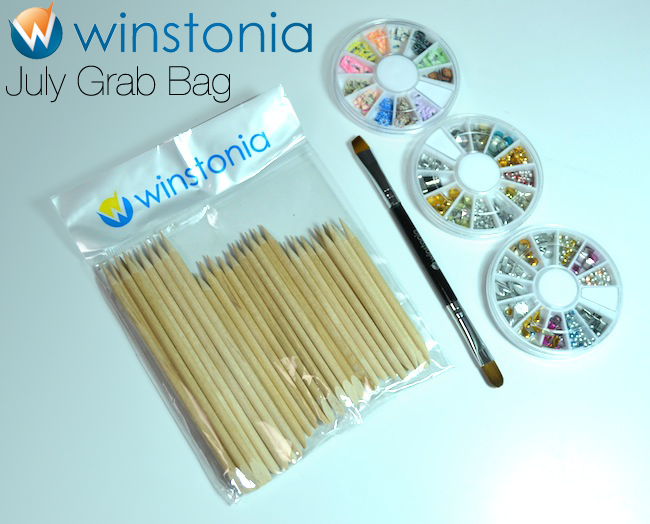 There's another Winstonia grab bag available, and I love this one! It's available for $10 (free shipping) until July 31. If you like what you're about to see (and I bet you will), then you can pick it up here at the Winstonia Store. Overall, it's a $24 value that you're getting for $10. 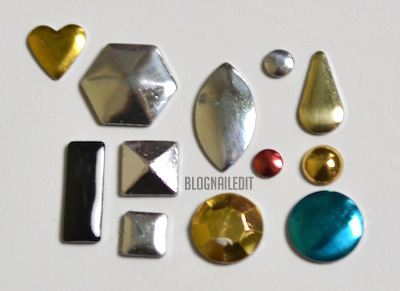 I loved the nail art studs the most, so I created a look using several different kinds of studs from the two kits. I love the variety, and I definitely feel like I'm getting a value. And though the brush is advertised as a makeup brush, I'll likely be using the angled end as a cleanup tool for my cuticles! 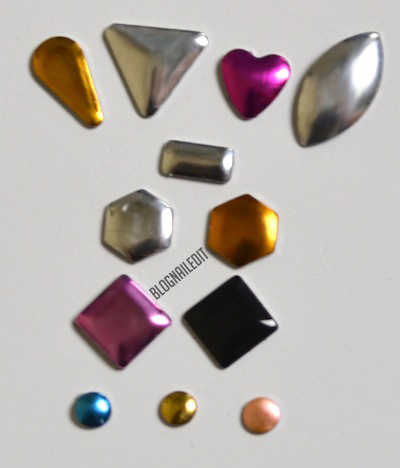 This is an excellent 3D grab bag, which reminds me...time to announce the winner of my 3D nail art contest! Ria Marii from Brush me Blush! She was very creative and neat with her 3D work, and I'm so happy I now know about her blog. Well done Ria! Edit: It's my own fault that I did not ask people to prove it was their natural nail as the rules stated was a requirement, so though there has been controversy about whether or not these are her natural nails, I unfortunately have to go by the honor code in this instance. Ria assured me they were her natural nails, and I'm sorry if some of you disagree. I myself am not 100% confident either, but I put myself between a rock and hard place by not asking for proof. It is what it is now. I will be removing comments calling out these facts, simply because it's not worth generating additional controversy. Again, I apologize to everyone. If you've got the 3D itch and want the July Winstonia grab bag, then you can grab yours in the Winstonia store until July 31st for $10 with free shipping and no subscription required. I love these so much!!! 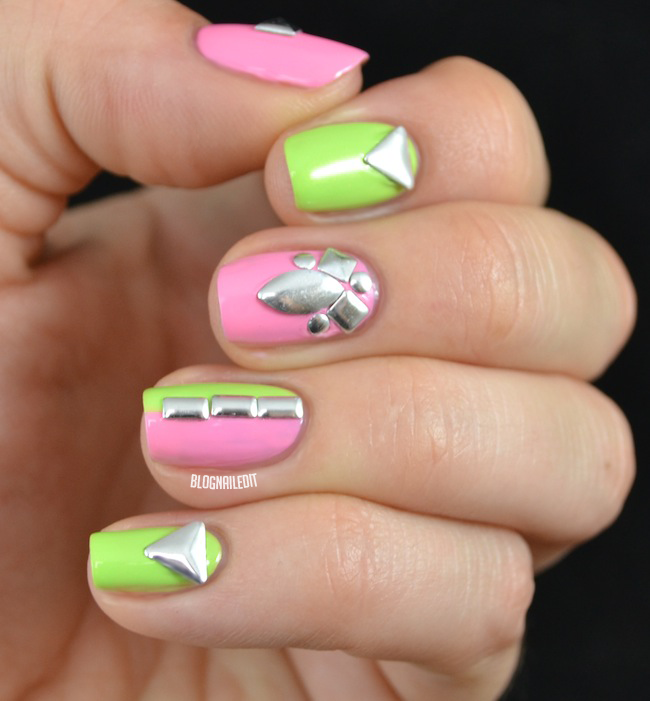 was it hard to do the other hand, getting the studs in the right place? Nope! I used a wax pencil to play the studs, which I'll review soon. It was really simple. congratulation to the winner ! 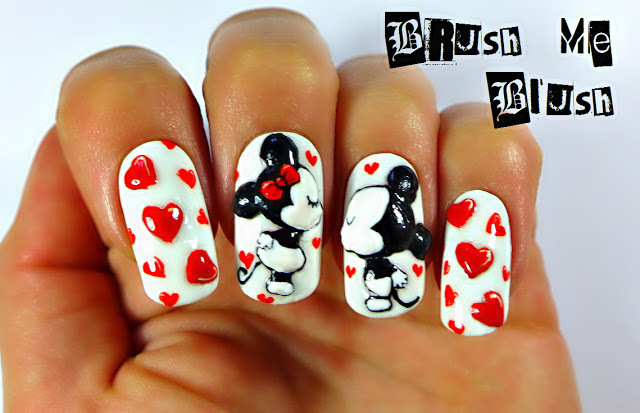 it'a a pretty nailart :D would you make the pinterest board with all the nailarts of the contest ?